I am looking for self-motivated, creative and hardworking PhD students (or Visiting scholars/students) working together to do interesting researches. If you are interested, please email me your CV, transcripts, IELTS score, and everything else that you believe will help your application; For PhD funding click here or see the announcement in the NEWS section below; For how to apply click here. PhD Global Excellence Scholarships for international students, click here for more information. Get in touch if interested. Our paper "Network Function Virtualization in Dynamic Networks: A Stochastic Perspective" is selected for the Scanning the Literature column of IEEE Network. Our paper "Stochastic Performance Analysis of Network Function Virtualisation in Future Internet," has been accepted by IEEE Journal on Selected Areas in Communications. 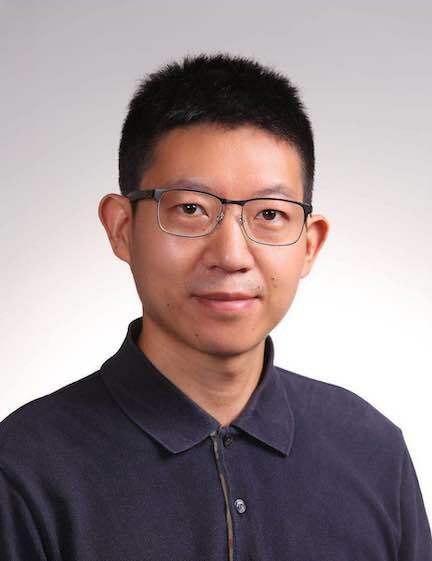 Congratulations to Dr. Yulei Wu for his appointment as an Associate Editor of IEEE Transactions on Network and Service Management. CFP: Special Session on 5G for Vertical Industry Services with 2019 IEEE International Conference on Industrial Informatics (INDIN-2019) (Deadline: 15 March 2019); A good quality paper may be considered for publication in IEEE Transactions on Industrial Informatics (I.F.=5.430) subjects to further rounds of review. Congratulations to Dr. Yulei Wu for his elevation to the grade of IEEE Senior Member. Our paper "Network Function Virtualization in Dynamic Networks: A Stochastic Perspective," has been accepted by IEEE Journal on Selected Areas in Communications.